UPDATE: 7.29.18 – Hershey LOVES bread! If you see Hersh, please report your sighting immediately to his family, but if you get the chance to try and lure him in, use bread as he is crazy about it and this has worked once before when he was in ‘survival mode’ and not responding. Thank you. 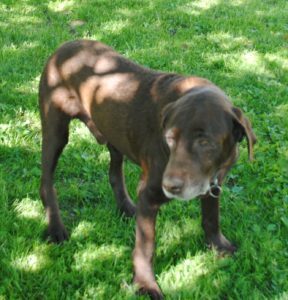 Hershey is still missing…. thank you all for looking for him and please keep looking… hopefully, someone will see him….